For two decades, Tlowitsis band member Gina Thomas has been combing the coast and forests of her nation’s vast territory on North Vancouver Island in search of cultural sites that mark her people’s rich heritage. One of her more recent finds triggered feelings of both excitement and frustration. A cliff dwelling was discovered in Tlowitsis ancestral lands. Heavily protected on all sides by a deep trench, a rushing creek and raised earthen beds or ‘berms’, her ancestors had lived out of harm’s way high on tiers in the rock face. Also frustrating for Thomas, and others who live and work in the North Vancouver Island Marine Plan Partnership (MaPP) sub-region, are the threats posed to these sites by human and environmental impacts. The protection of cultural, archaeological and heritage sites is a high priority for Nanwakolas member First Nations, as set out in their “Ha-ma-yas marine plan” for the MaPP region of North Vancouver Island. In 2016, the Nanwakolas Council began a significant two-year study through MaPP to define, identify, verify, and highlight potential protection measures for the rich, cultural and heritage resources within the members’ traditional territories. As a first step, the existing literature was surveyed to find out what had been documented for more than 2,600 cultural sites in Nanwakolas member territories, many of which are formally registered in the Province of B.C.’s database. “This part of the Northwest coast is known ethnographically around the world – yet we know next to nothing about it archaeologically. Much of the initial research was done 50 to 60 years ago and no one’s really followed up since,” explains Dr. Sean P. Connaughton, an archaeologist with Inlailawatash, a Tsleil-Waututh-owned heritage firm that co-led the study. Inlailawatash submitted comprehensive reports for the study that would include a cultural and heritage assessment, a cultural heritage field program, as well as a vulnerability and sensitivity assessment. In the summer of 2016, Connaughton, guardians, and other First Nation representatives took to the field to verify the accuracy of the literature. What they found did not match up. “Most of the registered sites were not recorded accurately, and the size and significance of the sites in the recorded documentation were also inaccurate,” Connaughton reports. 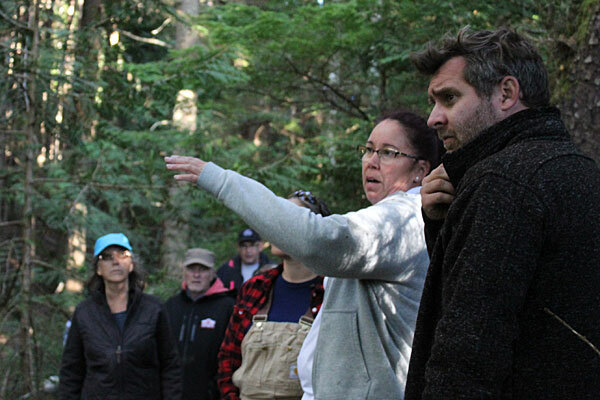 In June 2017, the Nanwakolas Guardians Cultural Heritage Field Program helped train participants to assess the vulnerability of specific cultural sites in protection management zones (PMZs) and special management zones (SMZs) identified in the MaPP North Vancouver Island plan. What they found was alarming. Cedar burial boxes were smashed open, burial blankets removed, and bones or skulls placed disrespectfully. 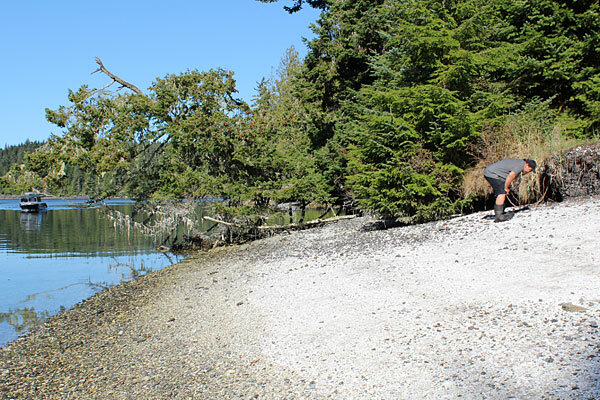 In an ancestral village, kayakers had set up camp in ancient house depressions on white shell middens – important sites where First Nations lived and often interred their dead. 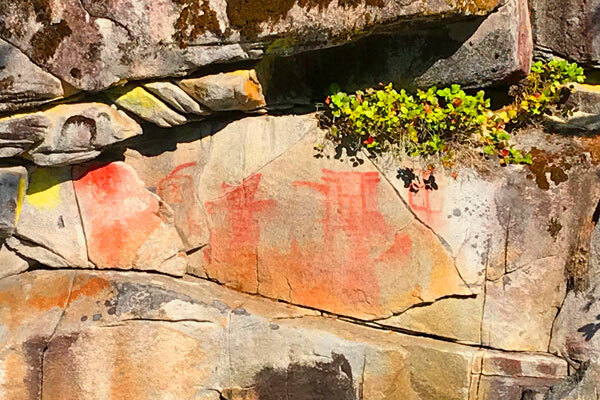 A culturally significant pictograph was found at risk due to weathering. Fish weirs, clam gardens and canoe skids were exposed to impacts from climate change and marine-based activities. Recommendations for site protection were made at a joint meeting of Guardian and Stewardship program representatives and the B.C. Ministry of Forests, Lands, Natural Resource Operations and Rural Development (FLNRORD) on Harbledown Island in October 2017. Due to the number and density of First Nations cultural and archaeological sites, the strategy also calls an area-based management approach – to offer long-term efficiency over individual site-by-site protection. Discussion is underway with the Province and Nanwakolas on development of a pilot project to test the strategy in a high traffic area of the Broughton Archipelago. This would include strong participation by First Nations guardians on the water. “As a First Nations people, we want to protect our archaeological sites. The status quo used to be that we were left out – I’m really excited that times are changing,” says Thomas. The North Vancouver Island Marine Plan Advisory Committee met with the MaPP Implementation Team in Campbell River on May 29, 2017. Photo credit: Bruce Storry. Integral to the MaPP planning process and the current implementation phase, has been the participation of many different individuals, groups and organizations connected in one way or another to the region’s rich marine environment. 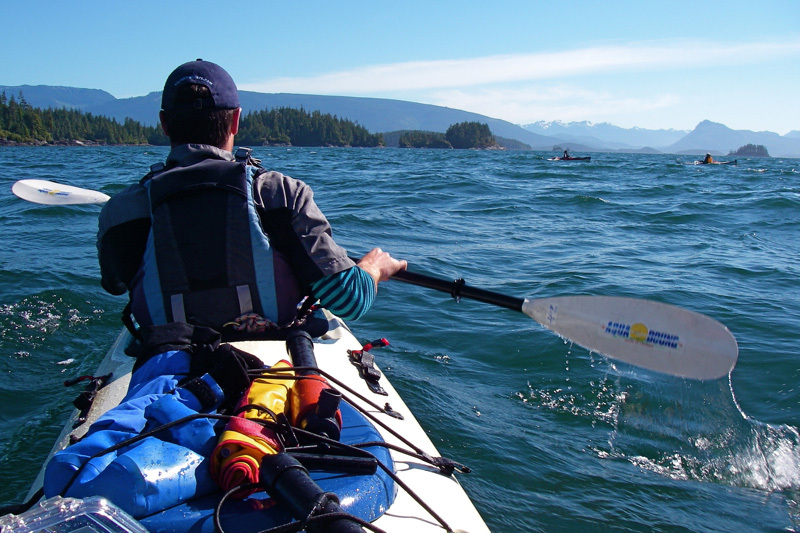 Otherwise known as stakeholders, this diverse mix of voices added much-valued input and authenticity to the creation of the North Vancouver Island (NVI) Marine Plan. 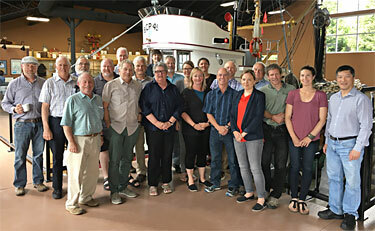 Stakeholder advice and feedback was collected through the NVI Marine Plan Advisory Committee, (MPAC), whose members represented a broad range of marine sectors and interests. Stakeholders continue to make an impact, as seen in three recent MPAC meetings about implementation plans for the NVI sub-region. There are many interpretations of the term stakeholder, how to meaningfully engage stakeholders and what makes their input so valuable. “Having such a diverse group in the same room broadens everyone’s horizons, scopes and thoughts on other issues that are beyond their sectors’ primary focus,” says Barb Dinning, technical planner with MaPP for the NVI sub-region. Dan Edwards, representative of the Commercial Fishing Caucus, believes that meaningfully engaging a range of viewpoints is essential. “That spectrum ranges from simply asking advice or consultation, to actually sitting down and building a plan together and sharing your experiences and interests and having a consensus framework for decision-making that would ultimately respect those interests.” For Edwards, meaningful engagement offers a critical way to protect his interests and the interests of those he represents. 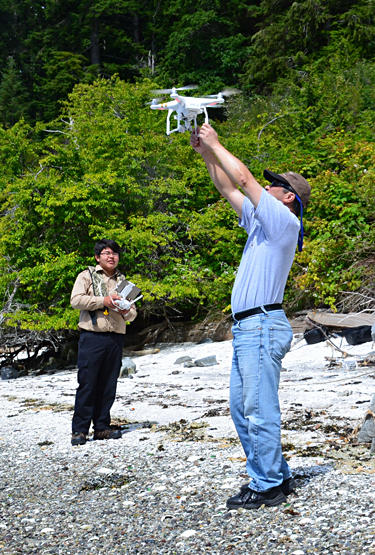 At the Tlowitsis Nation village site on Turnour Island, Guardians in training explore how drones can be used for conservation monitoring. The opportunities and challenges associated with these programs were the focus of a recently completed study—one of three that were commissioned as part of MaPP implementation in North Vancouver Island. Photo credit: Scott Harris. MaPP co-leads in the North Vancouver Island (NVI) Marine Plan area are carefully reviewing a trio of newly completed reports that suggest critical roles for First Nations in economic development and conservation activities. “These studies show that we’re serious about implementing this plan, and that there are economic opportunities for everyone here—even in stewardship,” says John Bones. As marine coordinator for the Nanwakolas Council, he helped design the scopes of work for the reports, which were completed as part of MaPP implementation in this sub-region. One report explores opportunities for development of key sectors: coastal forestry, seafood processing and marketing, research and monitoring, marine-based renewable energy, aquaculture and tourism. It suggests actions to advance them and ranks these by potential impact, approximate cost and time frame. It offers no “silver bullet” solutions but suggests many opportunities could be unlocked by greater collaboration, both among First Nations communities and between aboriginal and non-aboriginal communities. It identifies ways to strengthen individual communities’ access to economic development expertise and to bolster connections among economic development experts (and investors) in communities around the sub-region. It also recommends development of an NVI economic development plan to identify synergies between multiple local planning processes. Tourism is seen as especially promising. 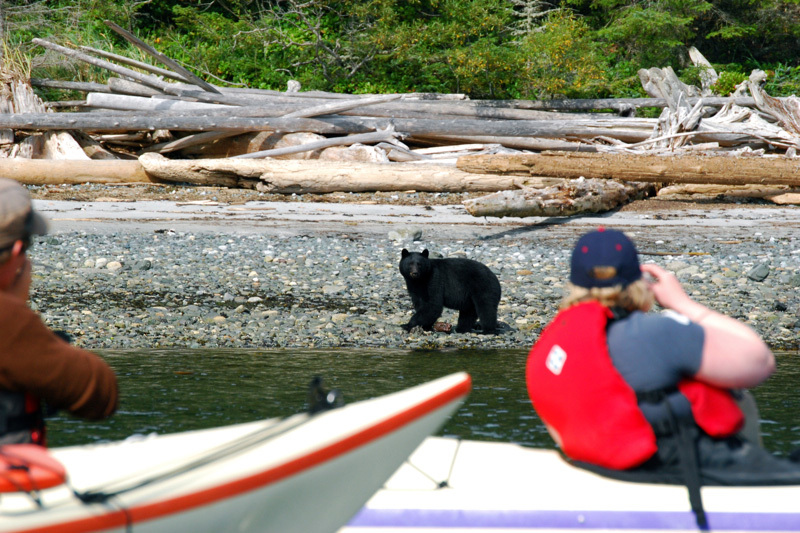 Low-cost actions with potentially high impact include greater cooperation between MaPP partners and Vancouver Island North Tourism, development of aboriginal and cultural tourism, and better promotion to international markets of the sub-region as a whole. Shellfish aquaculture is the focus of a second report. It analyzes biophysical capabilities of 22 areas that the NVI Marine Plan zones for Special Management–Cultural/Economic Emphasis, using extensive datasets from government and salmon farms in the region. It also considers factors like nearness to services and labour, and likelihood of local acceptance. Four areas are flagged for deeper investigation: Booker Lagoon, Kalogwis, Minstrel Island/Call Inlet/Havanna Channel, and Port Neville. Pilot-scale projects, adapted from models used by other First Nations to identify viable growing sites and train people, are recommended. A third report investigates opportunities to power up the five guardian programs that make up the sub-region’s Ha-ma-yas Stewardship Network. They and their counterparts in other MaPP sub-regions engage First Nations in activities that support conservation and resource management. The report lauds the “significant progress” of Ha-ma-yas and recommends partnerships with relevant B.C. government agencies. For example, guardian watchmen could conduct joint patrols with conservation officers and park rangers. Opportunities for collaboration could be explored by B.C. Parks, the B.C. Ministry of Forests, Lands, and Natural Resource Operations’ archaeological branch, and Nanwakolas member nations that have conservancy agreements and marine protected areas. Provincial government staff interviewed by the researchers identified several potential barriers to collaboration with guardian watchmen programs, including complexities associated with overlapping territories. Andy Witt, the B.C. government MaPP co-lead for NVI, sees scope for the Guardian Program to support implementation of the NVI Marine Plan. “To capitalize on the opportunities identified in the report, the key challenges for the MaPP partners to address are issues associated with liability, personal safety, and provincial jurisdictional limitations in the marine environment,” says Witt. In fact, all provincial interviewees viewed collaboration with guardian watchmen positively in the areas of ecological monitoring; compliance promotion through presence on the water to “observe, record and report”; and provision of data to support enforcement activities. They stressed the importance of building trust and relationships through joint actions as a starting point. Bones is hopeful about possibilities. “We really appreciated that B.C. government tenuring agencies were so supportive of this study and so forthcoming with the researchers, and that B.C. Parks seems quite open to exploring a bigger role for guardian watchmen,” he says. The three reports were shared at a MaPP implementation advisory committee meeting in October 2016. People create borders but oceans flow right through them. So when it comes to marine planning, it seems natural to cross borders to share ideas, knowledge and goals. 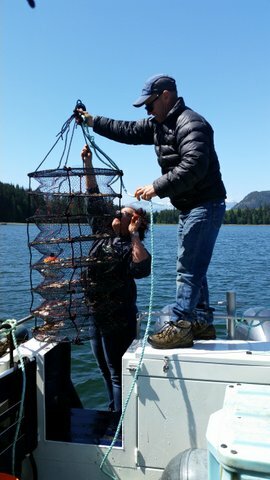 In June 2014, five members of the Smith River Rancheria Tribe of Tolowa Dee-ni’ from California/Oregon visited the Nanwakolas Council of North Vancouver Island to learn about the Nanwakolas approach to marine planning with its MaPP partners. 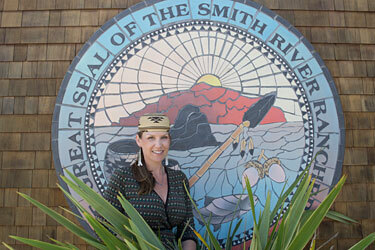 The Tribe is spearheading collaborative tribal marine planning on the U.S. Pacific coast. Since 2010, the Nanwakolas Council has travelled south to make two presentations: one at the indigenous ocean science forum, hosted by the Tribe, and one at an event hosted by Point 97, an Ecotrust company. Then last month, the Tribe’s delegation traveled north to gather information to share with coastal tribes in Washington, Oregon and California. Ultimately, the Tribe hopes to facilitate the establishment of a West Coast Tribal Regional Ocean Partnership that would explore ways to approach marine planning, develop policy and participate in the implementation of the planning work. “We’re at the very beginning stages of trying to figure out how do we communicate across state lines,” said Briannon Fraley, self-governance director for the Smith River Rancheria, Tolowa Dee-ni’. The Tribe’s territory straddles the California/Oregon state line, one-third/two thirds respectively. Nearly 100 miles of coastline connect the two. This means the Tribe communicates with two state governments as well as the federal government. Nanwakolas means “a place we go to find agreement.” And with many years of land and marine planning experience, Dallas Smith, president of the Nanwakolas Council, has much to share about working to find agreement – both among collective First Nations and in government-to-government relationships. A rock wall in the waters off the Northern tip of Vancouver Island is world famous – at least to a select group of people in dry suits. 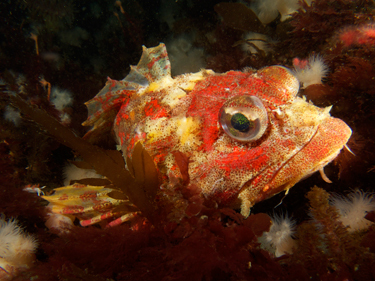 Scuba divers come from all over the world to dive the wall at Browning Pass and other remarkable sites near Port Hardy. Scuba Diving Magazine Divers’ Choice Awards has consistently ranked British Columbia as a top diving destination in North America. “The more I was diving elsewhere in the world, the more I realized that right in our back yard, in the Queen Charlotte Sound area, we have this extraordinary collection of mini ecosystems,“ Marcuse says. Back in October 2012, Marcuse was overnighting in a hotel in Port Hardy before catching a boat to a dive location. He was lured into a meeting room by a plate of cookies and walls covered by maps. He had happened upon the first open house for the MaPP North Vancouver Island sub-region. That question eventually led him and Paul Sim of the Underwater Council of BC (UCBC) to Alan Thomson and Nick Heath, the public recreation representatives on the North Vancouver Island (NVI) Marine Plan Advisory Committee. Thomson saw that Marcuse offered both a planning background and connections to the diving community through UCBC, a non-profit society that provides a voice for B.C. recreational divers and promotes safe scuba diving and environmental protection. Using advisory committee support funds, Thomson arranged a modest consulting fee for Marcuse to develop a report that identified more than 120 dive sites in the NVI sub-region and more in the Haida Gwaii sub-region. In addition, other divers contributed stunning video and photographs. 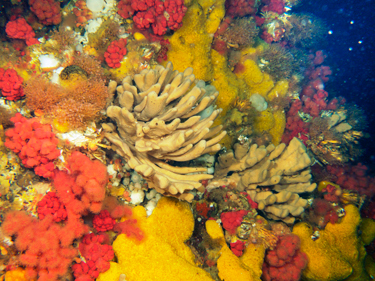 Marcuse recorded his dive site information in the BC Marine Conservation Analysis (BCMCA) database, which more than doubled the dive sites included in the database at that time. The BCMCA is one of many data sources for the MaPP marine planning portal, a sophisticated planning tool that allows users to look at many different data layers together to learn more about the MaPP study area. Back when Rick Snowdon was a full-time adventure guide he led an unforgettable trip with, among others, an Italian student who was soon to embark on his Ph.D. in nuclear physics. There’s a word for the kind of high-end outdoors experience that Snowdon provides. It’s called glamping – a seductive blend of both “glamour” and “camping.” Customers of Spirit of the West Adventures – the company Snowdon co-owns – not only get to take adventure kayak tours in B.C.’s Johnstone Strait, they also enjoy the benefits of large tents with canopies, comfortable beds, high-end locally sourced food, and even hot tubs. Some 55 per cent of Snowdon’s business is international, with the bulk of his customers coming from the U.K., Australia and New Zealand. The U.S. represents another 20 per cent and Canada captures the remaining 25 per cent. A believer in marine planning, Snowdon hopes the “zoning approach” – where different areas are dedicated to particular sectors, such as community/culture, general management and tourism – will allow individual groups to have sway in certain areas. “I hope tourism areas will be recognized for their usefulness,” he says. Snowdon also makes the point that adventure tourism is an inherently sustainable business. Tourists will come back year after year, generating reliable income that, instead of disappearing as a resource is consumed, actually increases as a result of word-of-mouth. He has appreciated seeing First Nations and government relationships unfold. And he has learned to anticipate the needs of other sectors and work with them. “As much as we [tourism operators] sometimes feel we’re the underdog, we can’t take the position that [other industries] can’t do what they need to do,” he says.